Mr. Odell Braxton Smith, 91 of Whiteville died Thursday, July 5, 2018 in Lower Cape Fear Hospice & Lifecare Center, Whiteville, NC. He was born November 6, 1926 in Columbus County, the son of the late, Braxton and Lillie Ikner Smith. 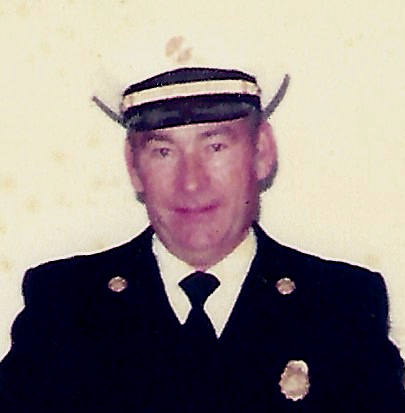 He was formerly an assistant Fire Chief in Bermuda. He is survived by his wife, Mary Alice Teichman Smith; two sons, Dennis William Smith and wife, Barbara of Millinocket, ME, Wayne Braxton Smith of St. Georges, Bermuda; a brother, Jack Smith of Whiteville; a sister, Ruth Nance of Chadbourn; a granddaughter, Courtney Dayre Smith of Pembroke, Bermuda. He was preceded in death by brothers, Ed, Ethell, Ezra, Lucky and Rudolph Smith; sisters, Ila Mae Tyner, Ruby Pait, Lucille Garrell, Betty Nealey and Marjorie Smith. A graveside service will be conducted at 3:00 pm Friday, July 6, 2018 at Western Prong Baptist Church Cemetery by Rev. Mitchell Smith.